The roadway design required care to not impact residences and historic businesses. Most of the urban roadway design remained within present right-of-way conditions, minimizing impact on private property. Various alignments were studied and presented to the citizens in the town of Blackburn at two public meetings. The selected alignment was a combination of the options presented. 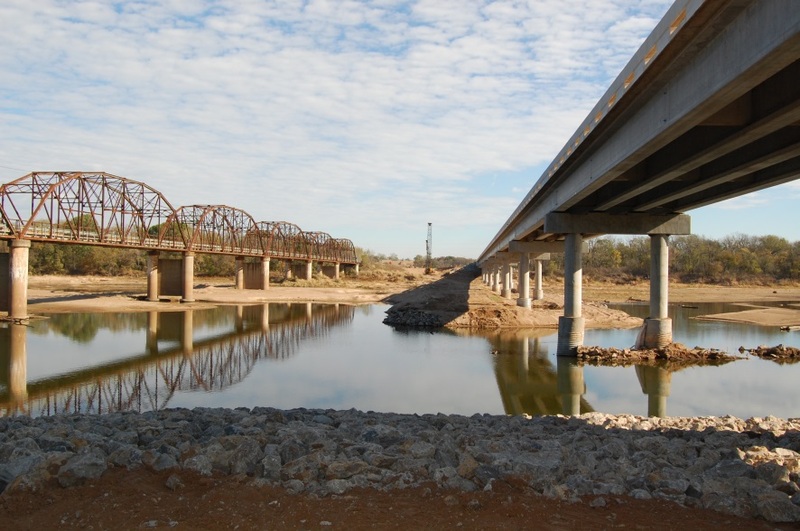 Because the existing bridge was historic, Section 4(f) and Oklahoma Historic Preservation Office research and paperwork were required. NEPA certification studies and reports were also included, as well as extensive topographic survey through a rural community and un-platted area.